The cycle of constant eating is a vicious one so many struggle with, lets talk about what makes you overeat, what you can do about it and just how common overeating is. I've long been thinking about why people over eat, why I overeat, in fact why anyone overeats. Is overeating a serious deep rooted problem or another aspect of the human condition? I'm both very curious and practical so when this question presented itself I knew I had to take it on. I like most everyone have loved ones near and dear to me who are overweight and so I worry about this issue. I decided it was worth a good debate so I dug deep to find out what I could, share my findings and enlist your thoughts and feelings to expand and really dissect the topic. The reason we mere mortals overeat is because we have to eat to live and living is most often about eating. While I've researched my way through piles of books explaining why, every time I think deeply, soul searching for the truth a simple answer comes to mind. This answer beats the drum of truth so loudly it can no longer be ignored. We have to eat to live and living is celebrated by eating. Food is such a huge and intricate part of life it's everywhere. Yes indeed food is everywhere. Anyone who is not affected by the constant presence of food is in the minority. Eating is often done mindlessly with a knee jerk reaction. We tend to forget about what we put in our mouths until we begin to fight our way into our clothes. 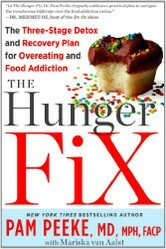 The relationship we have with food has an ebb and flow of over eating and restriction. Food is a source of nurture and comfort from the time we're born till the time we die, it is the one thing we can depend on and control. The word control is a big factor when it comes to over eating. While the events of any day can be good or bad we are sometimes powerless having no control of the outcome. The one thing we can control is what we put in our mouth. It feels good to eat anything we want whenever we want. Today we examine the serious and painful issue of overeating with much thought and concern. I’ll share with you my take on why you, me or everyone else over eats from time to time. Plus everyone visiting can chime in leaving their thoughts and experiences on the topic. Why do I overeat? Because it feels good! When we feel down and out, exhausted from a long day full of stress and nonsense we can’t control a comforting getaway is in order. We need to ease the pain, stress and flat out feel good! We humans are constantly seeking whatever it is that makes us feel good. In many cases it’s food. 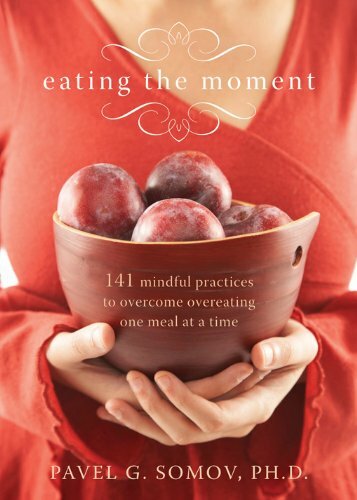 Learning how common overeating is can help all of us address our individual overeating habits. Often life takes a toll on us, sometimes it's expected and most times it's not. It's moments like these when we need to be cared for, made to feel alright or cheered up. If only we could hear, everything will be alright. As adults this often is not the case we are left to our own defenses. There is the one thing that makes us feel good. This thing is convenient and yet associated with people gathering together who love one another to celebrate. It is food! We can always reach for food to feel better. It reminds us of those feel good moments, celebrations and gathering with family and friends. 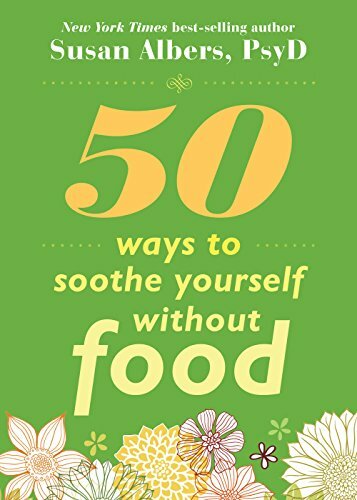 Why, because when we're down, hurt or struggling and need to feel better food is both handy and nurturing. It allows us to take care of ourselves when it seems the world around us is oblivious to our pain. The go to response to both celebration and hardship is most always food. The sun, sunshine raises our feel good hormones and while winter is a prime time to over eat we can feel even better by soaking up some rays. Set down to watch a good movie, preferable comedy. Laughter is good medicine and makes you feel much better than food, plus all that laughter also burns calories! Rearrange a room; this makes us feel refreshed and new. It feels great to improve our surroundings by rearranging a room. Plus house work is great exercise and makes for a great new hang out to watch those movies feeling even better. Munch on sunflowers, I like the ones in the shell, they are an activity that gives us something to concentrate on refreshing the mind plus they are happy food! Sunflower seeds are a source of protein and fiber rich in selenium a nutrient that makes us instantly feel good, happier and almost as quickly as we can eat them. The truth about overeating is we all do it from time to time and yet some of us are suffering more and need a more permanent fix. Why? Feeding someone is taking care of them. We were fed by our parents, when we were sick to make us better and so it seems when we feel bad we instinctively need to experience the same. This validates our feelings. It seems feeding someone or yourself is a really good way to take care of them, making it all better. It makes us feel all warm, loved and safe. When the world beats us up we need to be nurtured and food is readily available to meet the need. When we can't be hugged and cheered up with physical attention and words of encouragement we reach for food to feel the void. Food symbolizes healing and celebration. When in a difficult situation we can do nothing about we can always reach for food. No one can tell us we can't toss a cookie or chips into our mouth and we can do so till the entire bag is gone. Plus we can eat any type of cookie or chips we want. Food is the one thing we can have any way any time we want it. It gives us back some sense of control regardless of how fleeting. Food is the one thing we can control with positive strings attached to our fondest memories. Understanding this very powerful need and desire to be nurtured is the key to freedom. We must reprogram our responses for the need to be nurtured by creating new habits. New studies have found short 5 minute burst of exercise offer feel good benefits. For those of us who simply hate to work out this is good news. We can manage 5 minutes of movement of some sort. Turn on the radio and dance around. This stimulates the production of feel good pheromones. This creates a positive and more effective response. It's not rocket science all you need to do is elevate your heart rate a bit exert the body enough to single the brain to release good endorphin's Exercise is a great habit that helps keeps the lows away creating the need to overeat. Try as many routines as it takes to find one right and pleasing to you. You may hate one, two or even three, but keep trying till you find the one you fall in love with. It can feel powerful to feed ourselves. In all reality short burst of quick exercise can make us feel a significant amount better than food and the positive results are longer lasting. A good nights rest is crucial to any normal and healthy body functions when you don't get the proper rest you eat more. Sleep is vital to dealing with stress. We need a long nap; a good night’s sleep or some much needed down time. It’s important to take the occasional road trip or hide out at home watching a movie marathon and sleeping in are all good medicine. Maybe it's a long bike ride we long for or a jog. No questions asked it's a food fix that makes us feel cared for and valuable. Knowing and accepting this opens a new concept as to how we can better address these real and valid needs. The truth is overeating is a human condition most all of us come face to face with. No one should ever feel bad about overeating from time to time this only makes it worse. There is nothing wrong with you, you are not weak, you just need to get some relief as do all living creatures. Building a strong sense of self is one of the most powerful gifts you can give yourself. So the next time you feel the urge to eat something you shouldn't when you shouldn't think of other ways to self-nurture. It could be a nice trip to the hair dresser, buying a new garment, rent a funny movie or visiting old folks in the nursing home. Help someone who can't help themselves it is by doing this you nurture yourself as well. Remember the power of your surroundings. Your home or living space makes you feel good if you take care making it the best it can be. Worry and frustration manifest from a messy home. It makes us feel bad and therefore sets the mood to overeat, or worse closet eat. Love yourself by loving your home or surroundings, making it inviting for you, friends and family. Every time you feel the urge to overeat, do one thing to improve your home. You will feel good and redirect your energy to something positive. Often times it's in the knowing why that we find the cure. You may apply lipstick when you feel the urge to eat or take a hot bath. There are so many things to shift your thoughts of food plus make you feel better. So focus on making you and your surroundings more beautiful and comfortable. Coming home to this provides you with a nurturing environment to feel relaxed, rested and healed, not to mention valuable. Chat About Why I Overeat? DerdriuMarriner I like filtered water, I do enjoy S. Pellegrino on a regular basis but keep it to one serving a day. 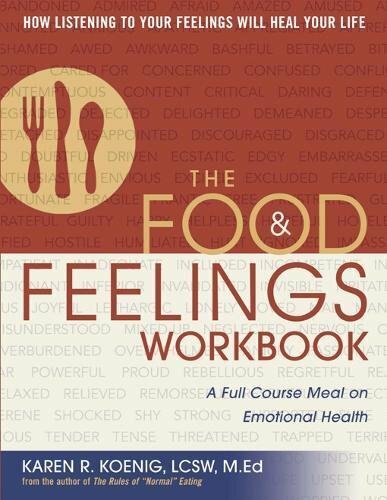 I think that comfort eating is a problem, for many people use food as emotional fuel. This goes for drinking as well. 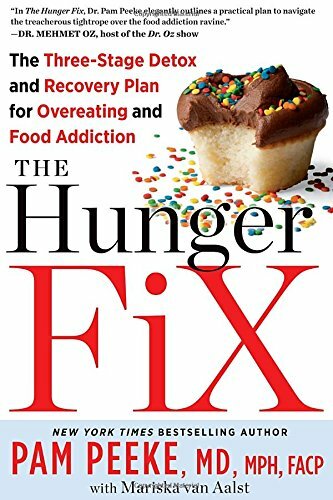 Perhaps we need to solve the problem of overeating by getting to the emotional roots of the individual eater's problems. 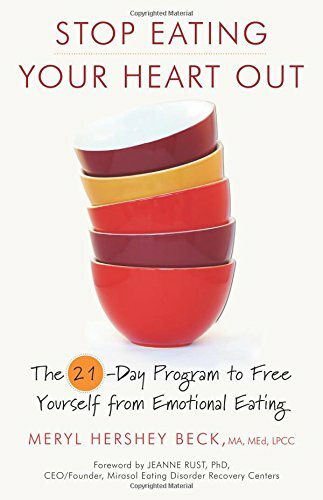 katiem2, Your product line shows that there's a helpful amount of reading material for overeaters. It seems to me that appreciating water can help overeaters, particularly if it's sipped on before and throughout a regular meal. Do you prefer water straight up or with carbonation or flavoring? Mira, Thanks for adding to the why do i overeat forum. Katie gives some great advice here. I'd second her to say that exercise is very important. It will make you feel great. Trying going to the gym or running with a friend, and spending more time outdoors. It may just be a strong first step to a healthier, happier you. If that fails, I'm with Frank: seek some professional help. Seek professional help. While the source may well be loneliness, the cure is hard to effect without assistance. Try meditation, in whatever religious or philosophical system you adopt, it fosters mind control. 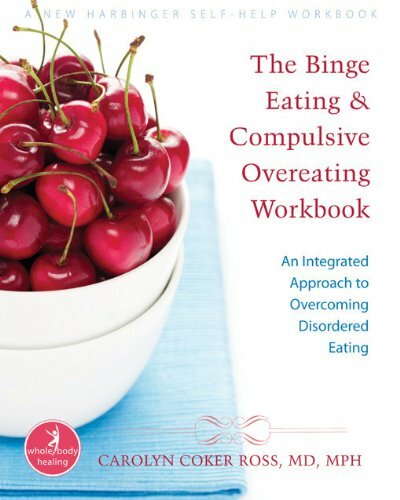 I'm a compulsive over eater and I'm constantly dieting to counter act my bingeing. I'm so ashamed. I've been in a relationship for 5 years and have been married to him for one year and just recently I confessed my eating disorder. He tells me "that's ok, just stop and everything will be fine" just stop? If only it was that easy. I can't begin to tell you how many times I have tried to just stop. I hate my body and I hate myself but there's not a damn thing I can do about it. I've managed to stay under 160 lbs but I have a goal of 130. On my wedding day I weighed 138 lbs ! I was almost there. During my weight loss I would binge once a week and counter it with cleanses and laxatives to maintain my weight. During that time I had to have my appendix removed and I'm almost positive my eating disorder and abusive behavior caused this. After my wedding my husband had to leave again for training in the marines. During that time he was gone I gained 15 lbs in 2 weeks and the other 5 shortly after. My husband loves me more than anything but he knew something was up. He asked me what happened, why I gained it all back. He said I looked so happy and looked more confident. I'm stuck in a vicious cycle of self sabotage and I don't know how to get out of it. I can't bring myself to tell my husband about my abuse of laxatives and cleanses. I'm so ashamed. I spend the majority of my time alone do to his service in the military and I know he will no longer trust me if I tell him what I'm doing. Cathy, Thanks for the tip and glad to hear you've figured out what your issue was. How to Know if I Am Fat? Find out if you are overweight, fat, obese or morbidly obese. Read the many ways to know if you are fat, how to lose it and why you need to lose weight and weigh a healthy weight.